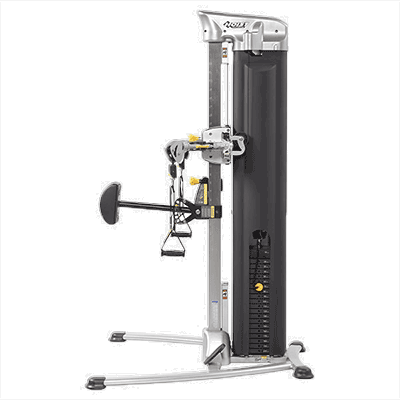 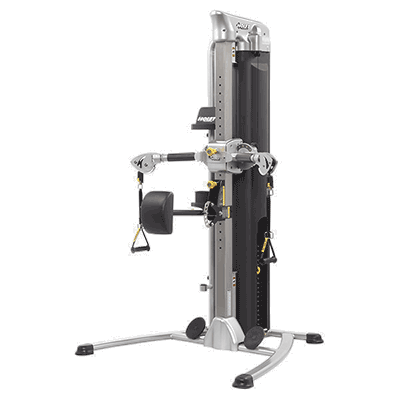 Compact and space efficient, the HOIST® Mi5 Functional Trainer is the perfect way to stay fit and get a challenging home workout. 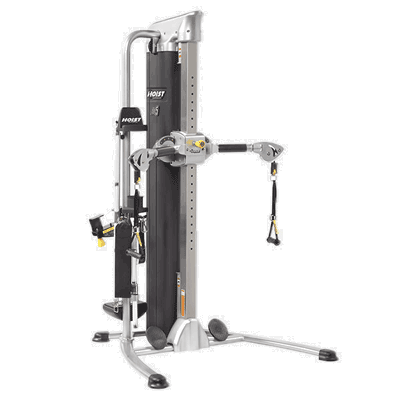 Featuring two cable arms and a 3 point cable system that allows for over 1,000 adjustments and variations. 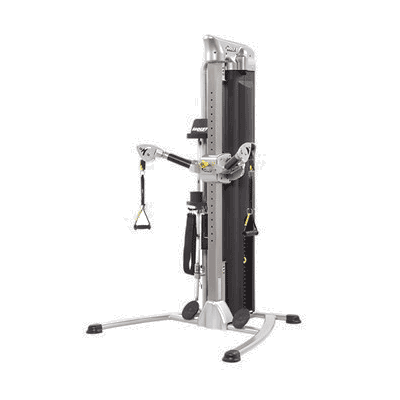 The arms can be moved vertically with 22 height adjustment options and each arm can move independently through 7 different positions at 160 angles. 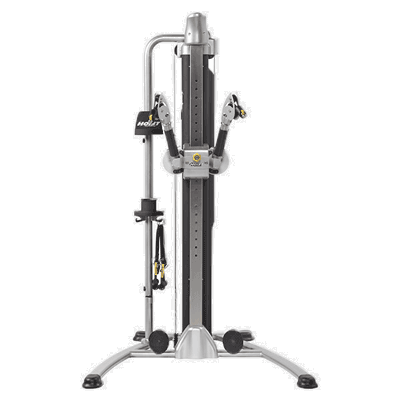 Suitable for users of all heights and sizes. 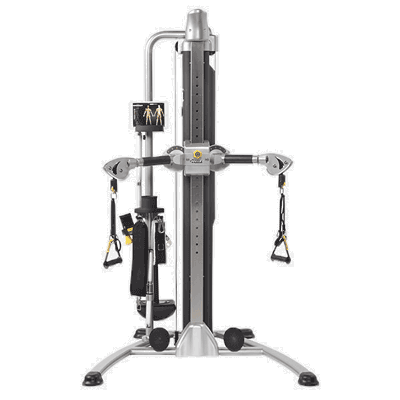 Includes built-in accessory and tablet holder, a weight lock for suspension routines and a water bottle holder.